Robert is a Licensed Insurance Agent. His company, Robert Slayton &amp; Associates, Inc., was founded with an idea: to build lasting relationships through understanding, education, honesty, and extraordinary service. Robert uses his prior experience of consulting with mid to large-sized companies on the topics of organizational development, change management, organizational career development, and group dynamics to assure that the solutions he suggests fit into the business objectives of his clients. He is an expert on health insurance and has been quoted in trade magazines and the popular press (such as Crains, Chicago Tribune, US News &amp; World Report, MSNBC.com, FoxNews, The Washington Examiner, and Yahoo Hotjobs). You can see some of his posts on his blog at http://robertslayton.blogspot.com/. Copies of some of the articles are at http://www.slaytonins.com/IN_THE_NEWS. Robert has been to Washington D.C. lobbying for “intelligent” healthcare. He has spoken to many audiences and been on panels talking about the new Patient Protection and Affordable Care Act, what’s in it and how it impacts businesses and individuals. 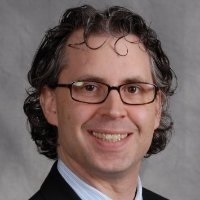 Robert is Past President of the Illinois State Association of Health Underwriters and Past Legislative Co-Chair for the DuPage Association of Health Underwriters. He has been inducted into the Leading Producers Roundtable (and is the Regional Chair) by the National Association of Health Underwriters and has also been elected as a delegate for Illinois numerous times to their national convention. He holds a Masters Degree in Education in Counseling from Northern Illinois University and a Bachelors Degree in Psychology from the University of Michigan (with a minor in International Business). Robert Slayton is not affiliated with The O.N. Equity Sales Company or O.N. Investment Management Company.